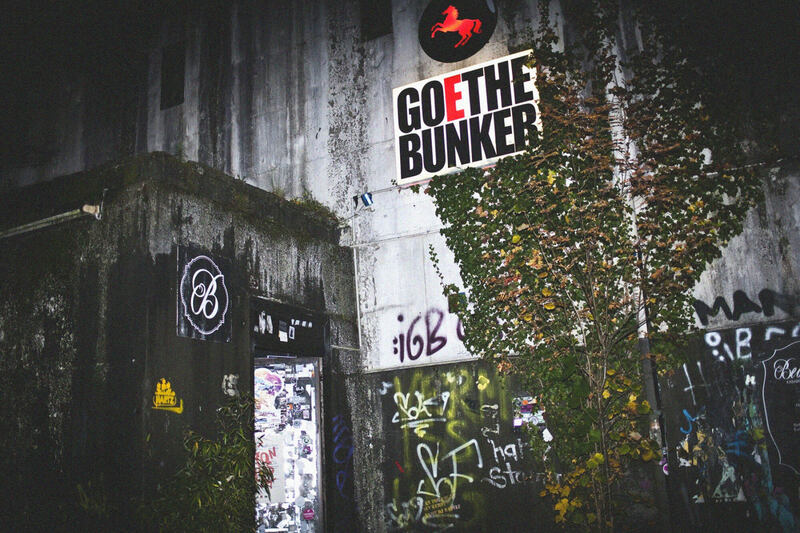 Goethebunker is Essen’s go-to destination for techno aficionados and discerning clubbers. 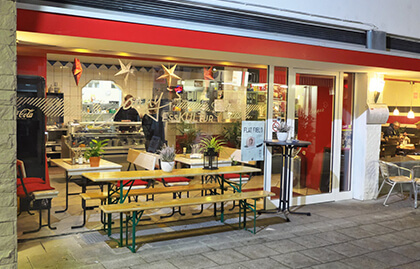 The space, which has previously been used as an air raid shelter and a horse accessory store, is an intimate venue in Essen’s outlying area of Rüttenscheid. 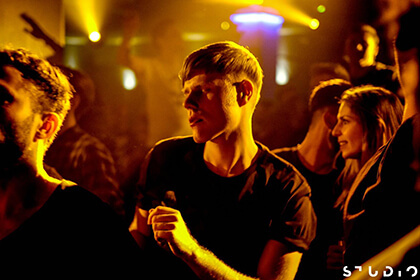 It houses two rooms: one with a livelier atmosphere, and one with a darker, more techno-focused sound. The nine-year-old club has brought techno hard hitters including Âme, Roman Flügel, Surgeon, Ryan Elliott and John Talabot, but also hosts a wide range of more local talent, particularly on its smaller, more house-oriented floor. 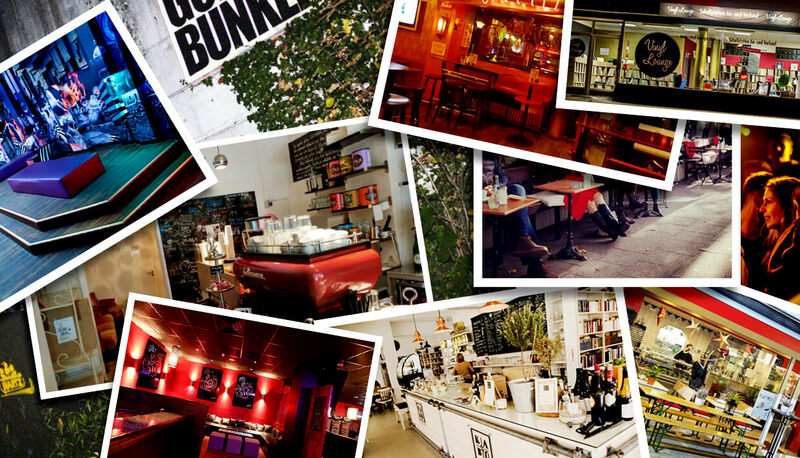 Read our feature on the space and the Bunkernacht party night here. Zweibar is one of the oldest bars in the Rüttenscheid district, but it’s not just a bar. It opens early every day to serve breakfast and operates as a restaurant and café during the day with a rotating menu of hearty cuisine. Its atmosphere is often described as “homey,” “rustic” or “nostalgic,” which contrasts with the more contemporary vibe at a place like Banditen Wie Wir. 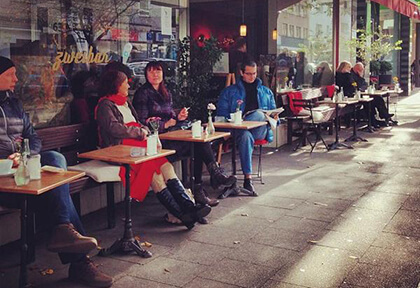 They’re both located not too far from Goethebunker, so it makes sense that you’ll find similar crowds or perhaps even some crossover between those who populate Essen’s best-known club and these nearby hangouts. The local De Prins bar recently got some press due to the discovery of their mouth-shaped urinals, which some decried as sexist. As Der Westen pointed out in an editorial defending the installations, they were designed by the Dutch artist Meike van Schijndel, which shows De Prins’s thorough execution of its Holland theme. According to our local contact, De Prins sells the most Grolsch beer outside of the Netherlands and peddles some of the best Dutch fries you’ll find in Essen. This is your stop for artisanal coffee that’s roasted on the premises. 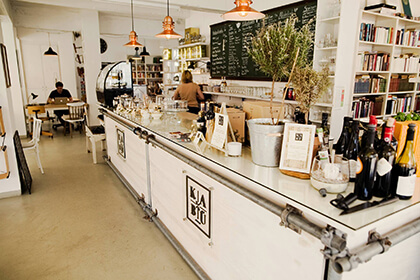 Our local guide informed us that the owner also doubles as a cook at this Rüttenscheid eatery, which speaks to the familial approach and dedication to quality at Johnny’s Esskultur. Come here for solid fast food from around the world at a restaurant with an unpretentious attitude and a friendly atmosphere. If you’re a freelancer looking for a quiet place to focus when your home office becomes stifling, look no further than Kabü, a peaceful venue that identifies itself as a café, office and “co-working space.” It also hosts various events from cooking workshops to meetups and book readings. 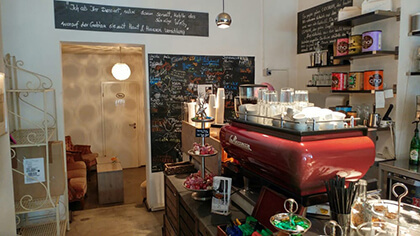 The Vinyl Lounge is a cozy space in Essen’s south-west neighborhood of Südviertel. It offers over 20,000 high-quality, lightly used vinyl records that primarily span the spectrum of classical music and modern jazz. The store itself is constantly expanding, as the owner, Stephan Wiehe, regularly acquires mint-condition private collections to add to his stock. You can keep tabs on the shop’s current offerings by reading their regularly-updated catalog, or you can listen to the records in person from the comfort of their many plush leather couches and lounge chairs. The store is open daily, so it’s a nice place to kick up your heels and unwind before hitting one of Essen’s more dance-oriented nightlife venues. If you’re looking to escape the Südviertel and Rüttenscheid districts for a minute, Hotel Shanghai will provide an alternative. The nightclub located in downtown Essen provides a more colorful counterpoint to underground venues like Goethebunker; its programming is often geared towards indie rock, pop and tech-house events. The space itself complements the lighter musical fare: the ceilings are covered in gigantic dangling paper cranes and low-hanging fluorescent lights shaped like giant teardrops. Each room is bathed in shades of pastel, and on the main floor, the DJ booth is surrounded by an intricate installation of dangling pink ropes. Hotel Shanghai’s lively atmosphere and central location make it an ideal place to grab a relaxing drink or to spend the night dancing to upbeat pop tunes. Photo via Studio Club’s Facebook. 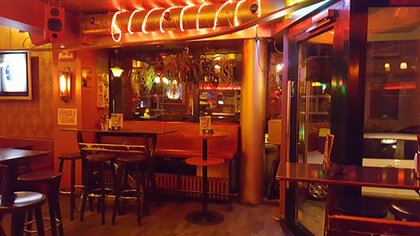 Studio Club is another major nightlife destination in Essen’s city center. Though it’s only a five minute walk away from the bar and club Hotel Shanghai, it offers a very different atmosphere. It features larger-name electronic music DJs, like Martin Buttrich, Monika Kruse and Raresh, in a big room environment. 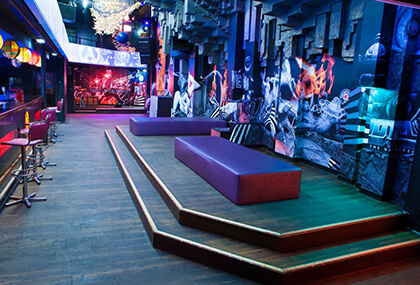 The six-year-old club is particularly well-known for its lighting concept: its main floor is covered in massive strips of color-changing LEDs. Though Studio Club’s space and music pander to a more traditional nightlife experience, its constantly-rotating staff of curators and diverse range of house and techno make it a must-see space in downtown Essen. Mr. Ties will play a Telekom Electronic Beats Clubnight at the Goethebunker on April 16. Find information about tickets, dates and locations of the Telekom Electronic Beats Clubnights in Essen here.